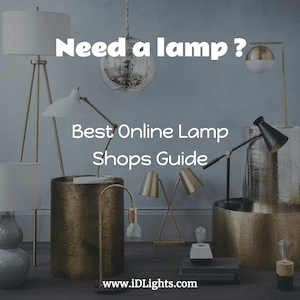 This great tutorial will help you in all stages, however, some information, details may be missing, in this case, leave a comment or use your imagination to solve the problem ;) The guide is easier than it sounds, you just need some woodworking knowledge. 1. Locate the materials you need for this craft. 2. 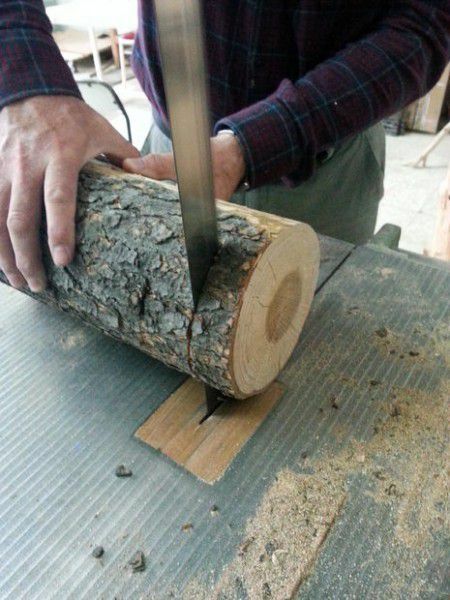 Cut the wood log into slices (2 cm minimum) with a wood saw. 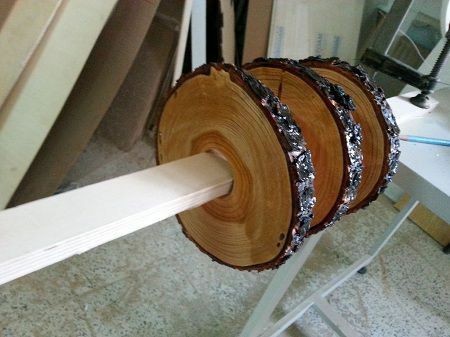 Use a cradle to hold the log so it can’t roll and get thrown (Ruth) or use a chainsaw (Matija). 3. 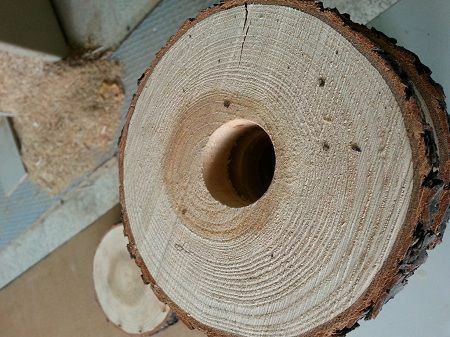 Find the center of each log slice and make a hole with a drill, use the same diameter as the plexiglass tube. 4. 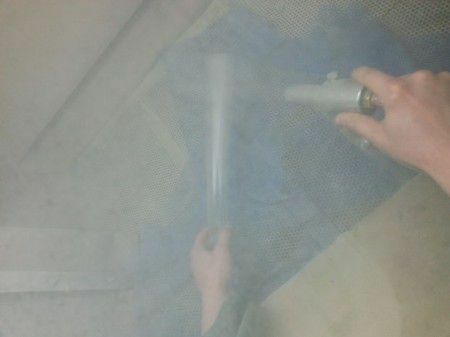 Sand down the surface of each wood slice with sandpaper. 5. 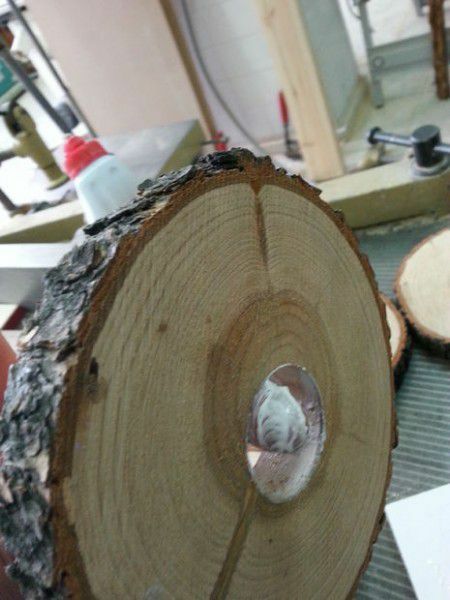 Put wood glue on the inside of each hole and let it dry for a day. 6. 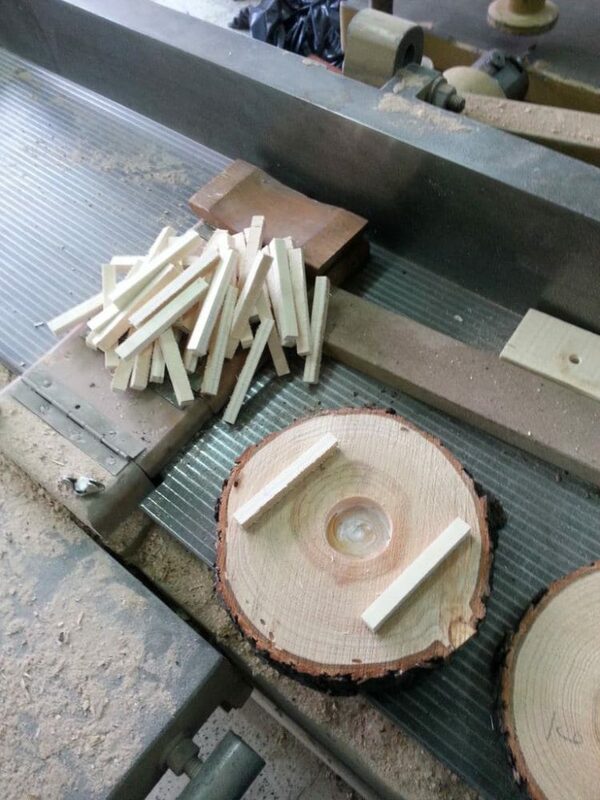 Put some wood sticks to get the desired space between wood slices. 7. Varnish each wood slice and let them dry, repeat the operation 2 to 3 times. 8. Cut the plexiglass tube (40 cm) and install the LED light strip inside, you can fix it with scotch tape. 9. 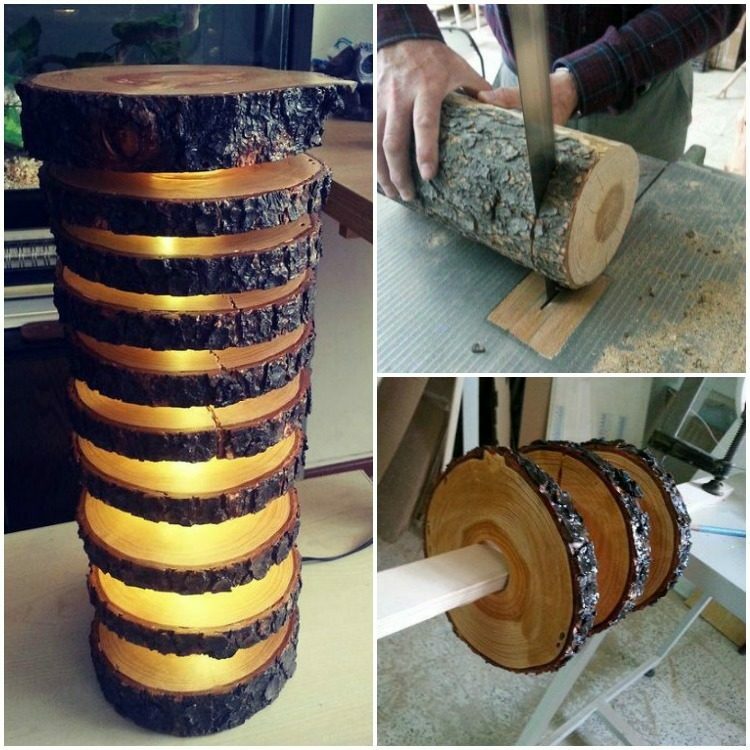 Install wood slices one by one on the plexiglass tube and fix with wood glue. Ready! 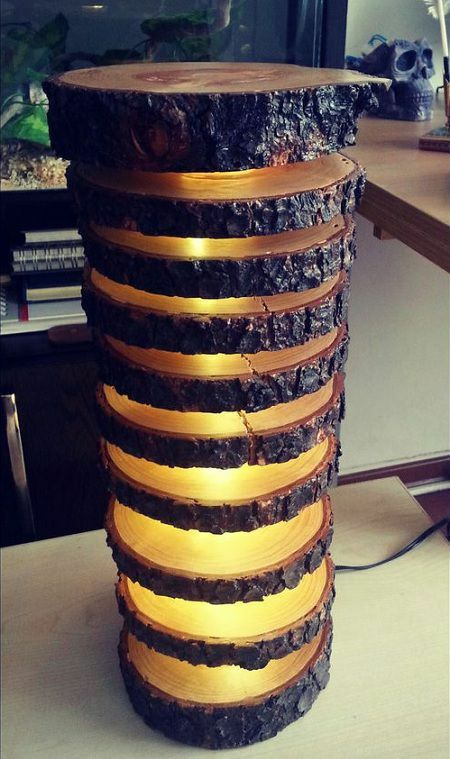 We have finished making this spectacular lamp with logs. 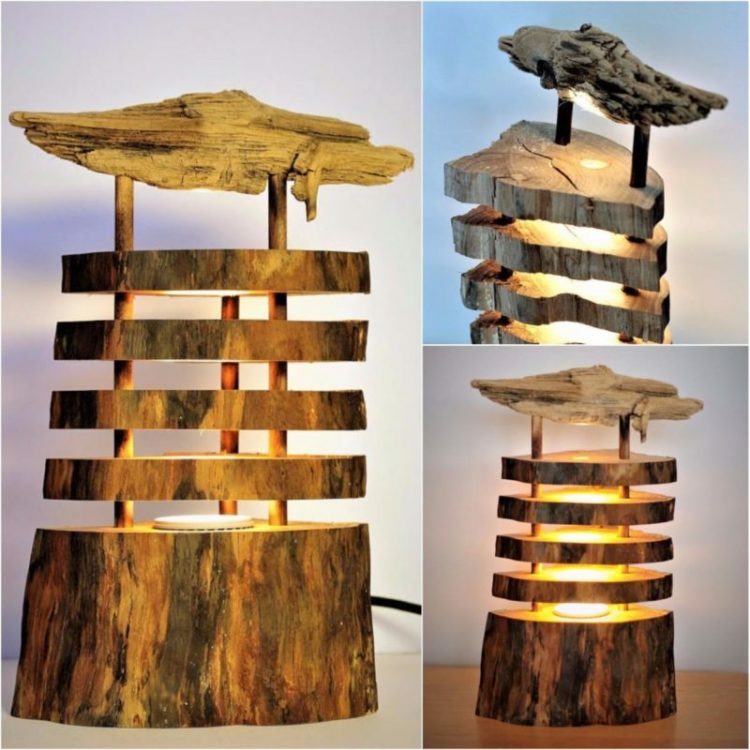 If you need more inspiration, look at this category: Wood Lamps. 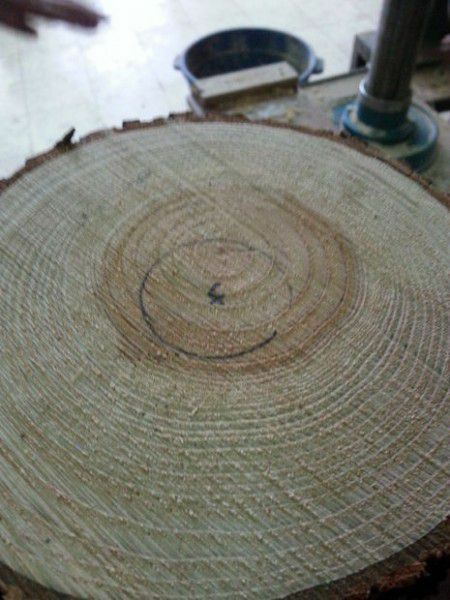 What about the bark of the wood, are you worried about it coming off with time?